Better Homes and Gardens Low Salt Cooking. Des Moines, Iowa. Meredith. 1983. Hardcover. Good with no dust jacket. Water stain at top edge. Offers advice on reducing the salt in one's diet, and provides recipes for low-salt condiments, main dishes, side dishes, snacks, and desserts. Color Photographs; 96 pages. 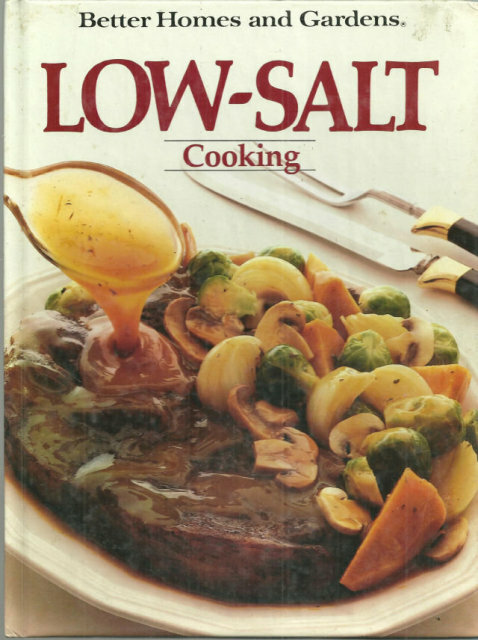 Items Similar To "Better Homes and Gardens Low Salt Cooking 1983 Recipes"